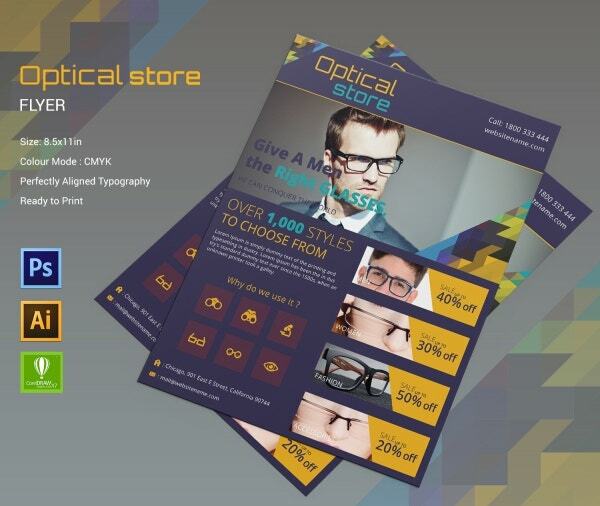 To advertise the services of your optical store, you could take the help of various mediums like posters, flyers, brochures, envelopes, business cards and so on and so forth. 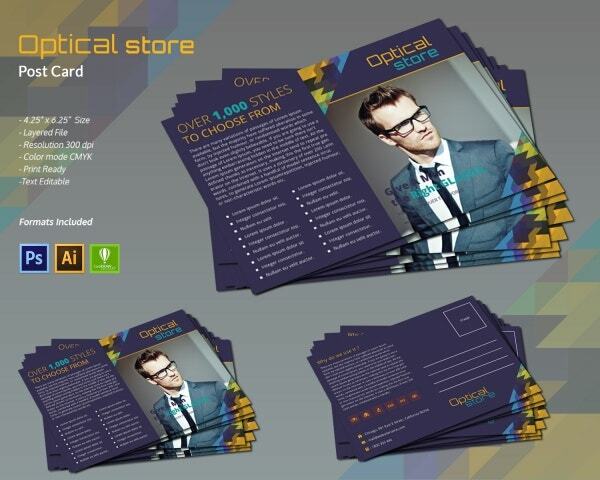 In order to design these, you could use any one of the templates available here. The best part about these templates is you get what you see- you would be able to make full use of the images and fonts that you see here. You would also be able to edit the template and add your own details to personalize it. You can also see Electronics Store Template. 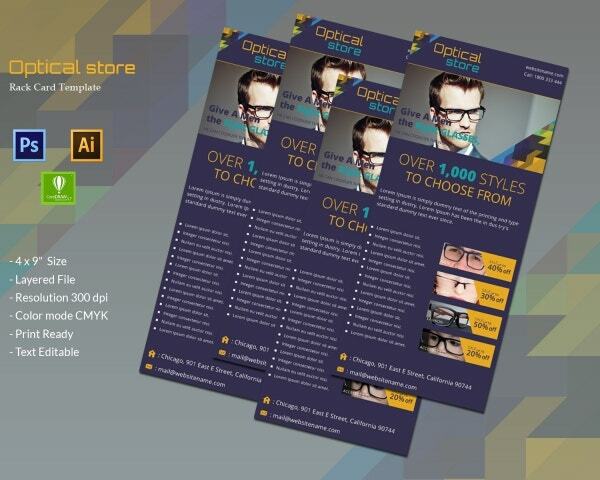 If you’re planning to advertise your optical store and all the services you offer, then a trifold brochure would be the best way to do so. It would provide you with ample space where you can arrange your details without making it look clumsy. The attractive colour scheme that you see in the template is sure to catch your eye. 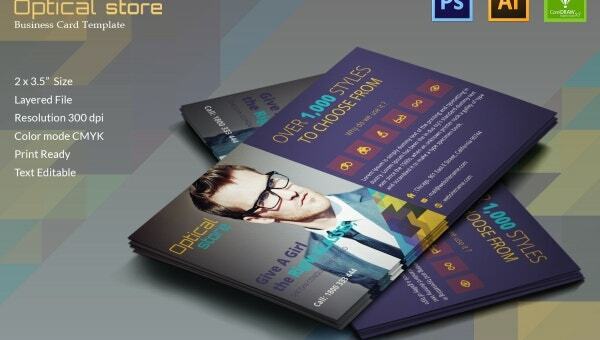 With this template, you would be getting A3 format trifold brochures to advertise your services. The templates uses only free fonts which you can make use of. Also, it consists of high resolution files as well. The colour mode used here is CMYK and it is absolutely ready for printing. 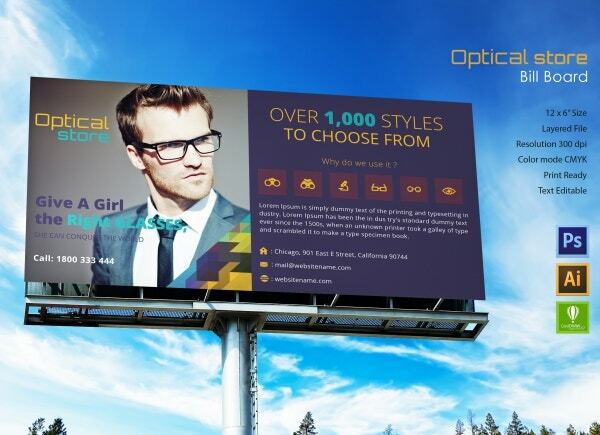 To advertise your optical store, you can use ad banners. 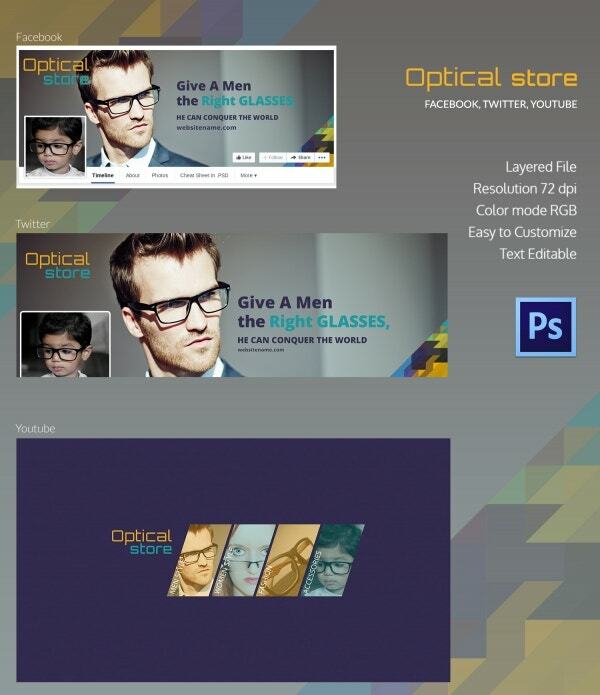 In order to create these ad banners, you could take the help of this template. 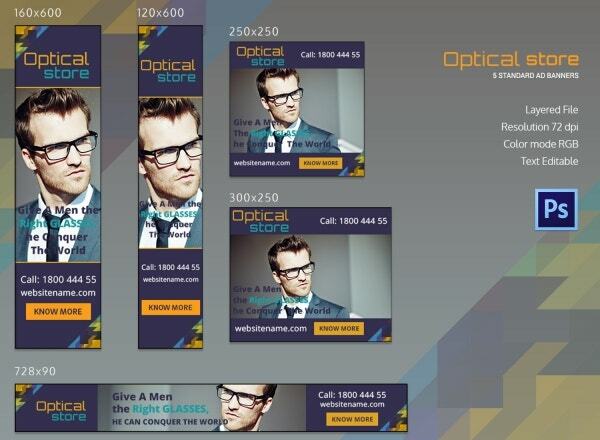 As a part of the package, you would be receiving not one, but five ad banners and all in different sizes. They all also have a resolution of 75 dpi. The best part about using this template is that the images are included. That means, you would be able to make the most of the images that you see in the template. The text has also been kept fully customizable and that makes it really easy to use. Also, you would be able to print the template as soon as you download it. 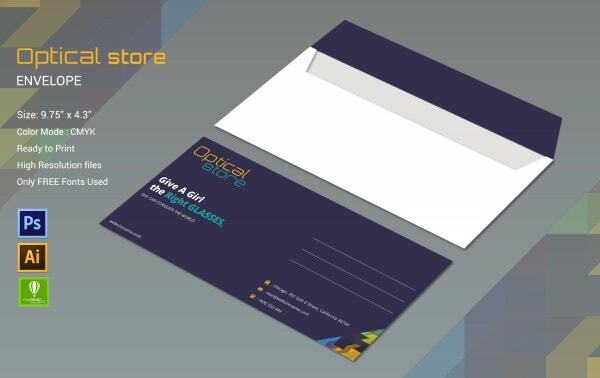 If you’re planning to create business cards for an optical store, then this template here is your best shot. The colour scheme used in the template makes it look smart and professional. 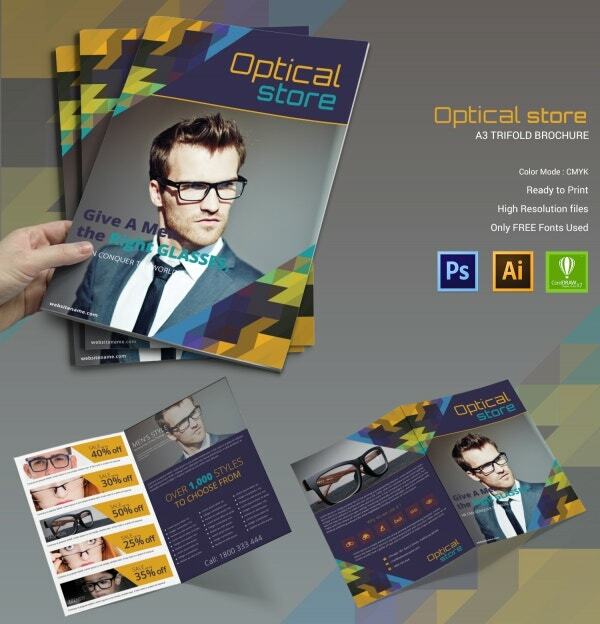 Apart from that, the template has been kept relatively simple and it comes in a 2 x 3.5″ size. Also, the template is editable. 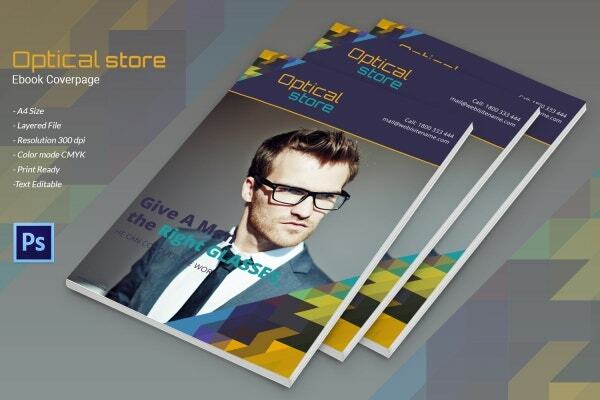 To create an eBook cover page about your optical store, you could take the help of this template. This template comes in an A4 size format and in a layered file. Also, the colour mode used here is CMYK. More importantly, the template also uses a fairly high resolution of 300 dpi and is ready for printing. Planning to create a personalized envelope? Then you could use this template to do so. You would be able to use this envelope in a number of different ways. The envelope you see here comes in a size of 9.75 x 4.3″ and with high resolution files which you’re sure to appreciate. A flyer is, without a doubt, one of the best methods of advertising. As displayed in the template, the flyer is catchy and appealing to the eye. It contains a fine balance of text and images and that makes it all the more attractive. 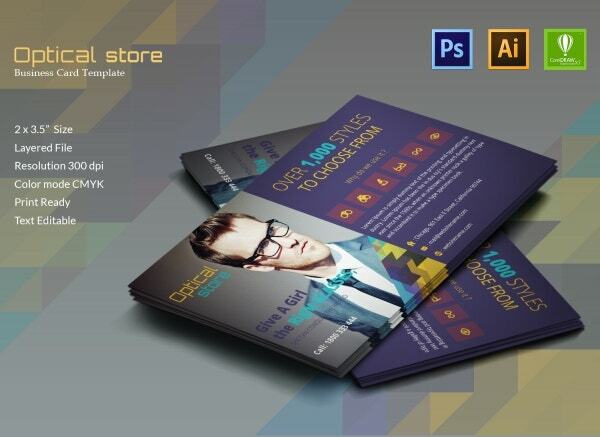 Also, with this template, you would be getting flyers of size 8.5 x 11 inches. 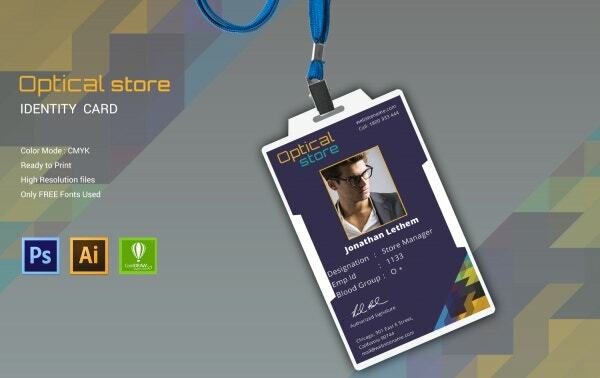 If you’re working at an optical store, you would be needing a separate id card for yourself. In case you’re planning to create one, you can use this template. The best part is, you wouldn’t have to worry about the layout or the design with this template. All you will have to do is download the template and then start editing your details here. 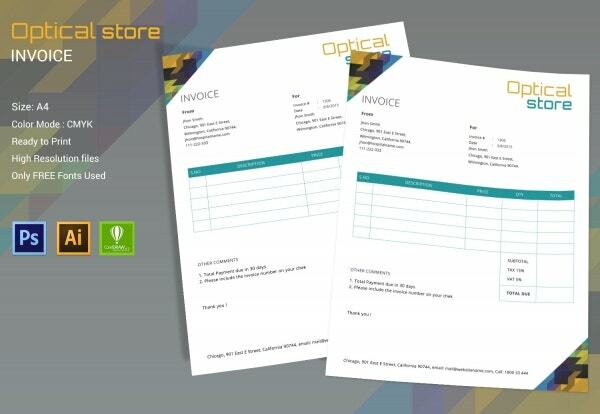 An invoice or a money receipt is an integral aspect of an optical store. If you’re planning to create a specialised invoice, then you could take the help of this template. It has been kept relatively simple and minimalistic, which makes it look all the more attractive. Also, the template is customizable. 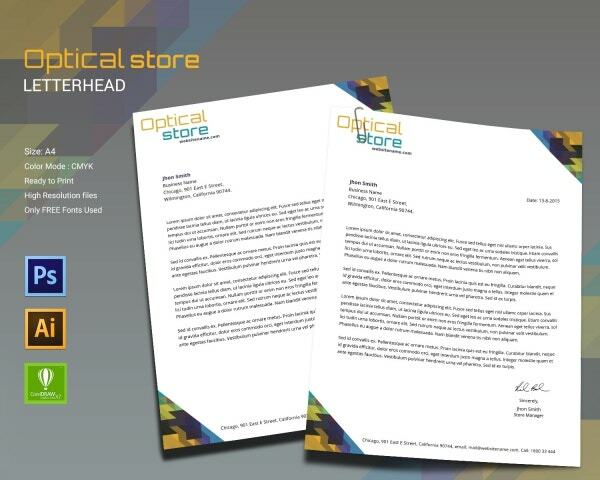 A letterhead is a must if you’re running an optical store. As shown in this template, the letterhead is professional and has a formal touch to it. It looks like it means business. Also, the template comes in an A4 size and with high resolution files. You would also be able to use the free fonts provided here. As you can see here, the text and the images have been balanced perfectly in this template. It comes in a 4.25 x 6.25 size and in a layered file. Also, it uses a pretty high resolution of 300 dpi. The colour mode used in the template is CMYK and it is ready for print. You should also know that the template is completely customizable. A poster needs to be attractive and eyeball grabbing with an appealing headline. Well, that’s exactly what you get with this template. The best part is, the images that you see on the template are included as part of the deal. That means, once you download the template you just have to edit it and add your own details. A rack card resembles a pamphlet in many ways. The rack card that you see here has been kept appealing yet professional. It lets you list all your services with ease. Also, it includes a number of free fonts that you would be able to use. The text that you see on the template is completely editable. That means, you would be able to add your own essential information. 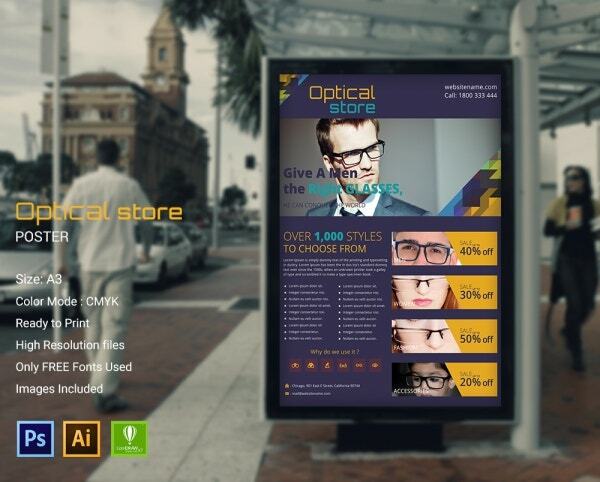 If you’re planning to advertise your optical store on social media, then you can take the help of this template to do that. You would be able to create three cover pages with the help of this template – one each for Facebook, Twitter and YouTube. 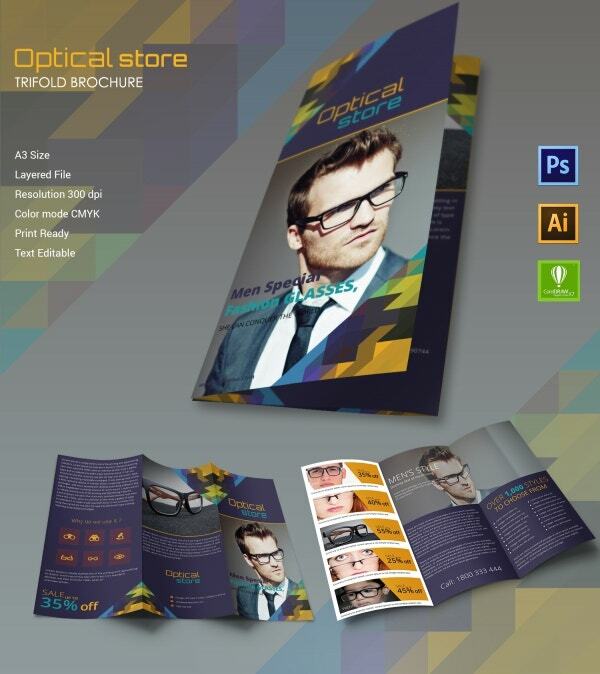 You would be able to design these cover pages just the way you please and edit them too.